During World War I, a plucky soldier saves the life of pilot Schultz, only to be struck down with amnesia when their aircraft is shot down and crashes. The soldier loses all his memories and tries to rebuild his life by becoming a barber in the Jewish ghetto. By chance, the barber finds himself brought before of the Tomanian high command and he is delighted to meet Schultz again, who pledges to protect the citizens of the ghetto to pay back the barber for saving his life. 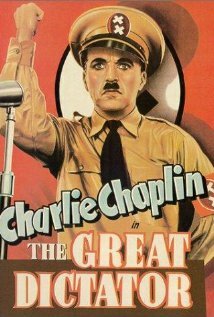 The Great Dictator is not currently showing anywhere.